Sports editor, 1969-70; state editor, 1970-71. Pulitzer Prize-winning reporter Paul Ingrassia switched from business journalism to the business of journalism and is now a top executive at the Dow Jones & Co.
Ingrassia started out as an editorial writer for the Linday-Schaub Newspapers, a family-owned group once in Decatur, Ill. Ingrassia joined Dow Jones in January 1977 as a reporter in The Wall Street Journal’s Chicago bureau. In 1981, he became the Cleveland bureau chief. Four years later, he was named the Detroit bureau chief. In Detroit, Ingrassia and Joseph B. White earned a Pulitzer Prize and a Loeb Award for their coverage of the corporate governance upheaval at General Motors. They later co-authored a book Comeback: the Fall and Rise of the American Automobile Industry. 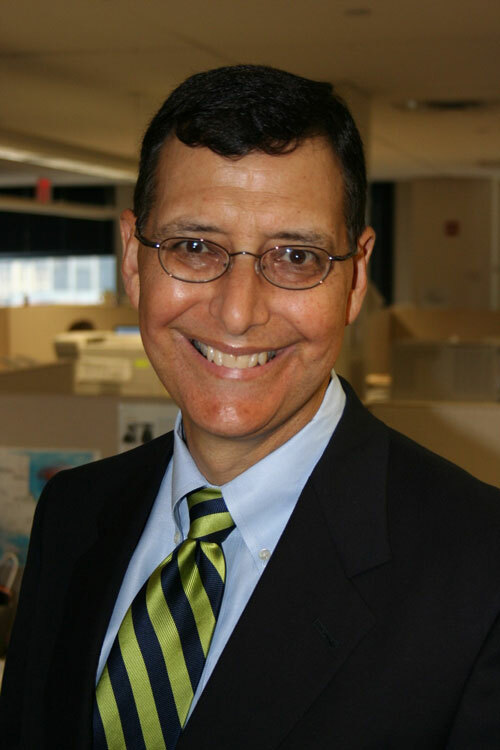 In 1994, Ingrassia became assistant vice president for product development at Dow Jones Telerate. A year later, he became vice president and executive editor for the company’s financial newswires and then was named president of Dow Jones Newswires, which publishes real-time financial news in 10 languages and has the broadest distribution of any financial news service. There he oversaw about 1,100 employees and more than 85 news bureaus worldwide. Ingrassia is currently the vice president of news strategy for Dow Jones & Company, a position he attained in July. He is responsible for examining strategic issues created by the growth of the Internet. He also is responsible for formulating broad news-coverage approaches to the company’s various publications and services. This bio was written at the time of Paul Ingrassia’s inauguration into the 2006 Illini Media Hall of Fame.